Full time Ranger, part time Exterminator. Frankly, I never thought the End Times would be as a result of colossal rat-people. Zombies, sure. Maybe even Draculas. But rat folks? Didn't see that coming. Luckily for us, here to stem the onslaught of Skaven in Warhammer: End Times - Vermintide is one Bardin Goreksson, the Dwarf Ranger. Not sure what exactly qualifies him as a Ranger, given that he's most at home burying an axe in some rat-dude's brain, but that's what he calls himself, and who am I to judge a furious ball of destruction. Check out Mr. Goreksson's highlight reel here to get the feel for how he plays. He might be the shortest member of the party, but that's not going to stop him from crushing as many Skaven skulls as he can. While his primary weapons are an axe or a warhammer, he occasionally remembers he calls himself a ranger and picks up a crossbow or a shotgun. Because, let's face it. If I'm going to face an unstoppable horde of man-sized rat people, I'm going to want a shotgun. Probably two. You and your buddies will get the chance to play as Bardin on October 23rd, when Vermintide hits virtual shelves on Steam. 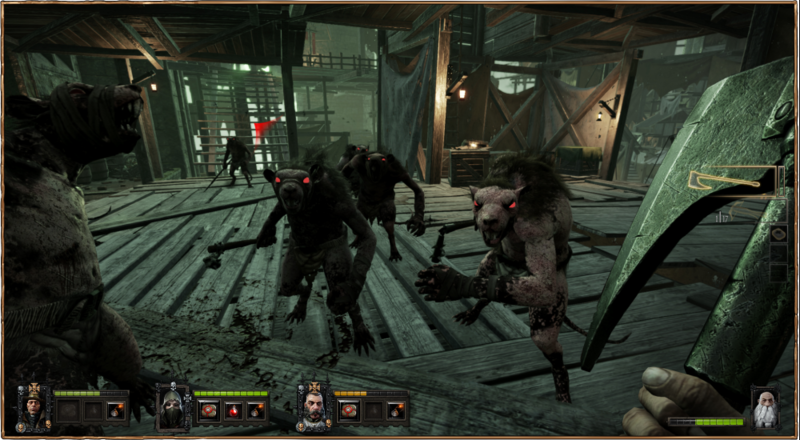 The four player co-op game certainly looks like a lot of fun, especially if you're curious about the inner anatomy of Skaven. Page created in 0.2983 seconds.